Begins with a complete sponge ball stage act. Following the routine you learn basic sleights such as the thumb palm, mash move, and retention vanish. After that is a series of individual routines including perpetual balls, balls to pocket in color, big ball ending, sponge balls close up and in color, hop skip and jump, and double growing ball. There is also a section on special secrets, where more than you think and the four ball vanish are revealed. The Download concludes with step by step explanation of the complete sponge ball stage act. The full sequence with all the moves! 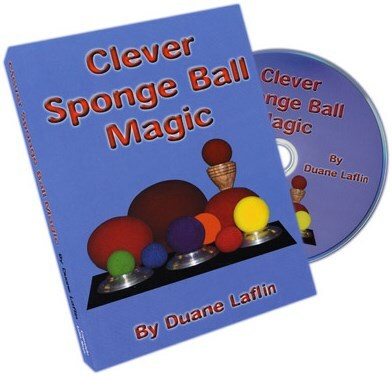 Learn about steals, getting the sponge balls wet, loading a sponge bunny into your hand right under the nose of a spectator, making balls appear in a spectator's hand, and more.